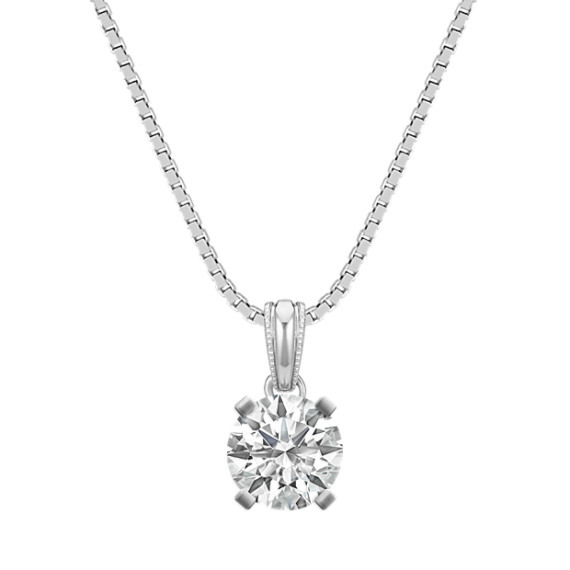 14k White Gold Pendant with Round Basket to hold .50 ct. (18 in) | Shane Co. Featuring milgrain detail and crafted of quality 14 karat white gold, this pendant can hold the center gemstone of your choice at approximately .50 carat. The unique basket that will hold the gemstone is detailed with surrounding small hearts and hangs from a matching 18-inch box chain.